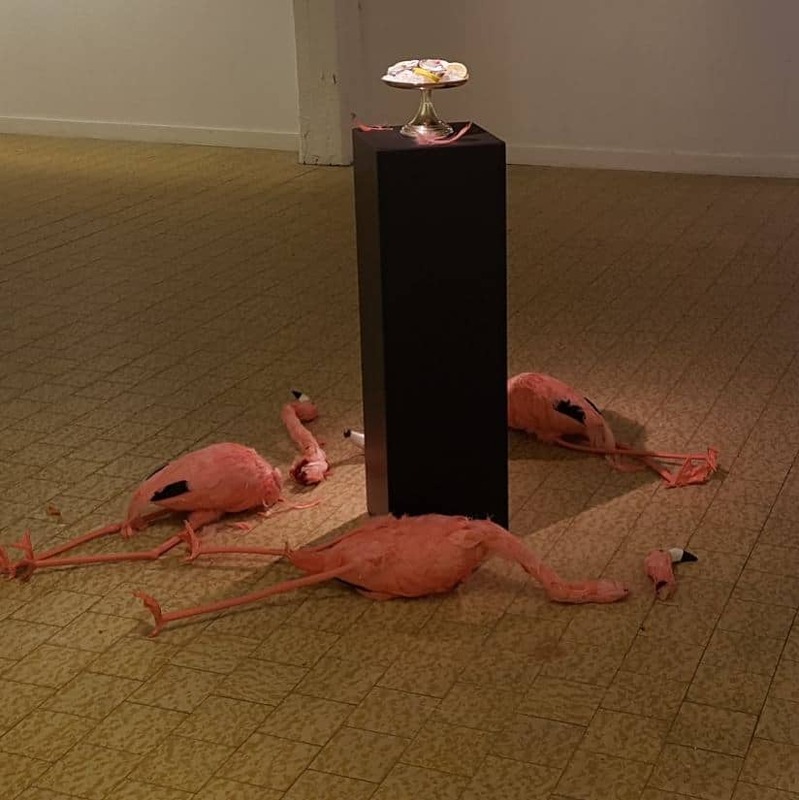 Based on a crime that happened in 2007 in Frankfurt. 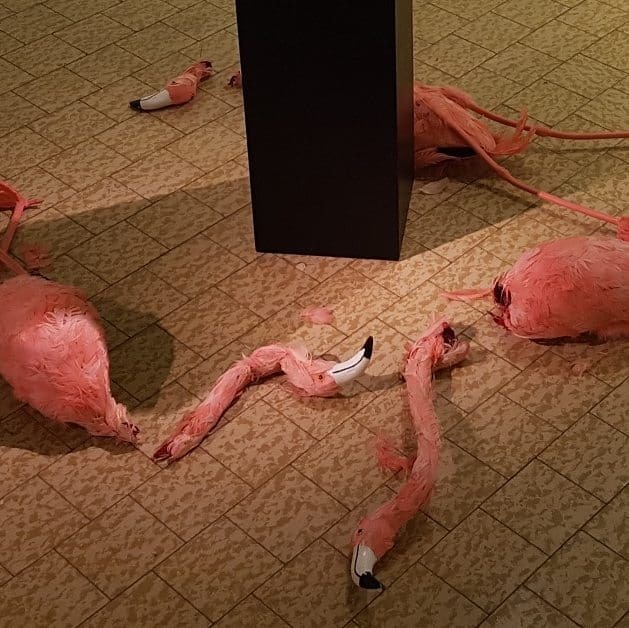 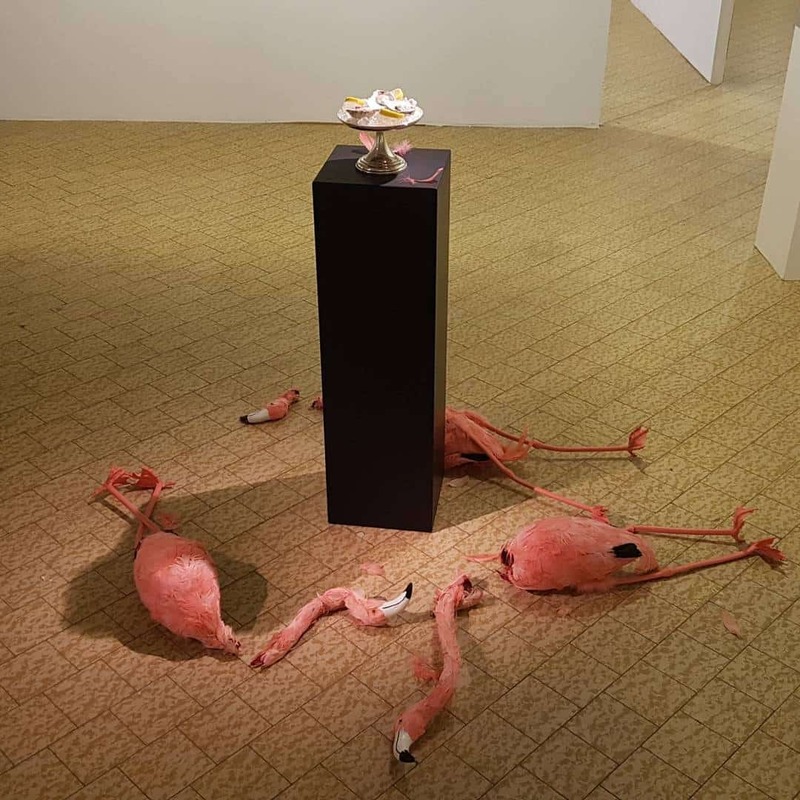 Someone broke into the flamigo-enclosure and beheaded four flamingos. 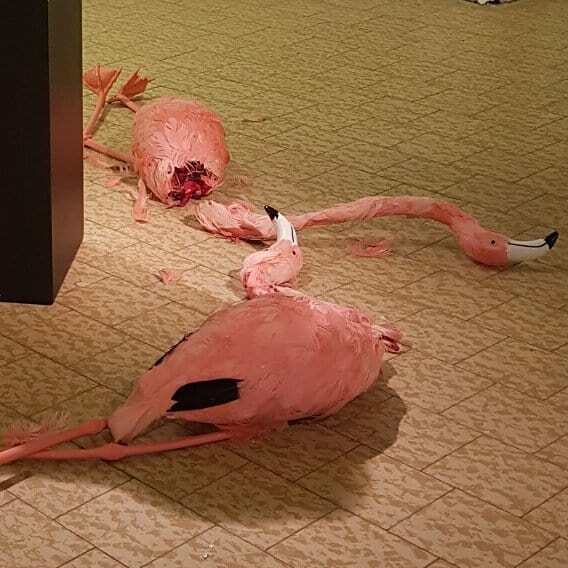 It was not a fox.